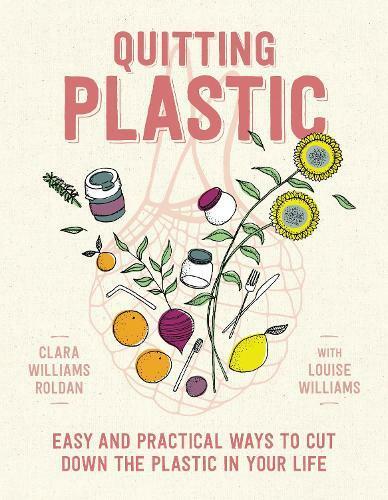 Where do you start if you want to reduce the plastic in your life? Especially when most of us are wearing it, eating and drinking from it, sitting on it, walking on it, and probably even ingesting it. Anywhere you go, plastic is within easy reach - even in Antarctica and the North Pole. We didn’t quit plastic overnight. In fact, it’s still a work in progress. But along the way, we have learnt a lot by researching the issue from the grass roots up, speaking to people, and finding out what works and what doesn’t. We answer the tricky questions, like ‘How will I wash my hair?’, ‘Do I have to give up crackers?’, ‘What about my bin liner?’ and ‘Is this going to be expensive?’ As we continue to remove throw-away plastics from our daily lives, we’ve discovered we’re friendlier with our local communities, we’re eating healthier food, and de-cluttering happens by itself. It feels great!